Bienvenido a Park Hotel Gritti Bardolino. Esta propiedad es 3 minutos a pie de la playa. 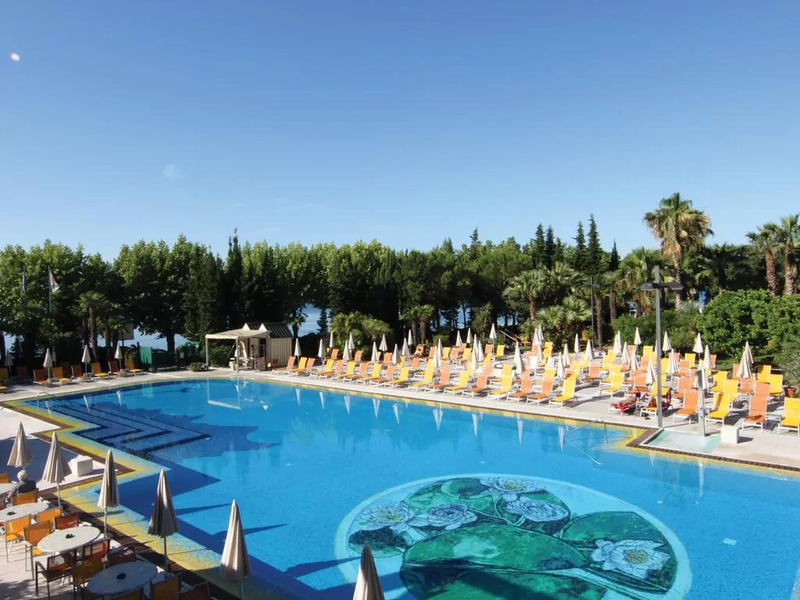 Parc Hotel Gritti is set on the shores of Lake Garda in Bardolino, next to Lido Mirabello beach. It features 2 pools, 3 restaurantes, and rooms with cosy bathrobes and slippers. Rooms are classically decorated. Rooms at the Gritti offer air conditioning and carpeted or tiled floors. Each has a minibar, tea/coffee maker, and satellite TV channels. Hairdryers are available on request. The restaurants serve Italian cuisine and international specialities, together with pizza, fish dishes and organic/gluten-free options. Breakfast is buffet style, and free tea, snacks and pastries are provided daily. Guests can enjoy relaxing in the large outdoor pool area. The wellness area includes an indoor pool, gimnasio, sauna and Turkish bath. Beauty treatments are also available. The Gardaland theme park is 11 km del hotel. Verona is a 40-minute drive away. (Park Hotel Gritti Bardolino hotels).